A chiropractor treats the spine and body to help achieve a normal spinal structure that forms a strong foundation for the rest of the body. If your spine is unbalanced, it will not let your body work at its maximum capacity and can also lead to injury. This is a simple truth, not just for ordinary people, but also for bodybuilders. Chiropractic Rehab and Neurology would like to discuss why chiropractic care is essential, even for bodybuilders in Anthem and North Phoenix. In order for a bodybuilder to use proper form and technique, it is extremely important that he put equal pressure on each side of his body. When there is a spinal shift, the muscles on one side of the body must work harder than the other which causes stress to the body. With this unlevel or unequal foundation, a bodybuilder may be able to work for a while without injury, but it will only be a matter of time. In addition, an unbalanced workout will not be as effective for the body. Bodybuilders take their health seriously and even step it up a notch to help lose fat and gain maximum muscle. If a bodybuilder ignores the key component of human health, that of the spine and nervous system, they will never be able to achieve their true potential. It is so important to bodybuilders to maintain proper spinal alignment that many say that it’s not even an option to not have a chiropractor. They relate the importance of a chiropractor to that of a doctor or dentist. Chiropractic care is something that they feel is critical and essential to everyday health and achieving good physical well-being. So if you are a bodybuilder, or just an everyday person looking for better health, the professionals at Chiropractic Rehab and Neurology are here to help. 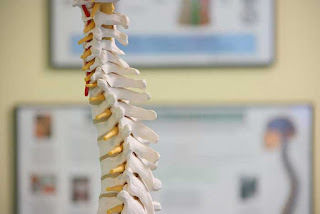 At Chiropractic Rehab and Neurology, we are using many resources, such as advancing our technology, updating our methods, and using good caring philosophy to increase the well-being and health of our Anthem and North Phoenix patients. To schedule an appointment please give us a call at 623-587-0277.